Long commutes to work can decrease access to community resources and may indicate major barriers to economic agility. Increased commuting times can introduce intense pressure on time management and limit temporal flexibility, making it difficult to respond quickly to life stresses. Louisville currently ranks 8th among its peer cities in percentage of people with a commute longer than 30 minutes. Approximately 24.7% of Louisvillians experience a long commute. 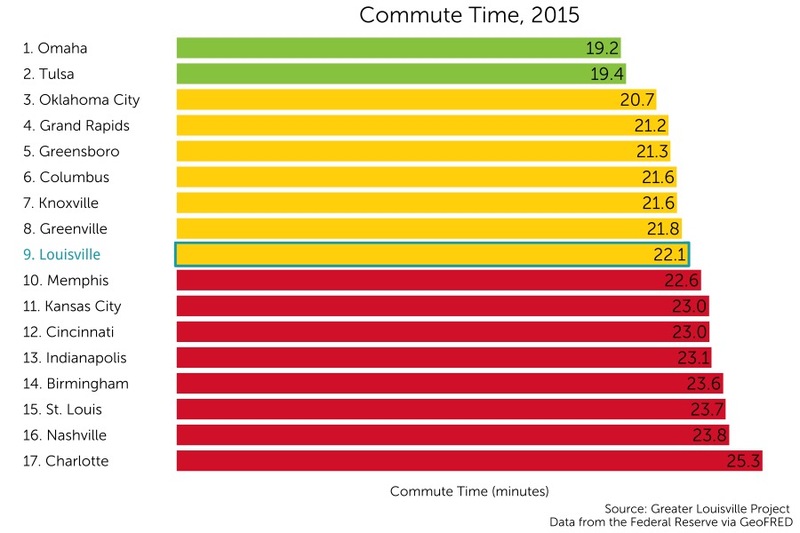 Since 2009, the average commute time in Louisville has increased by approximately one minute. 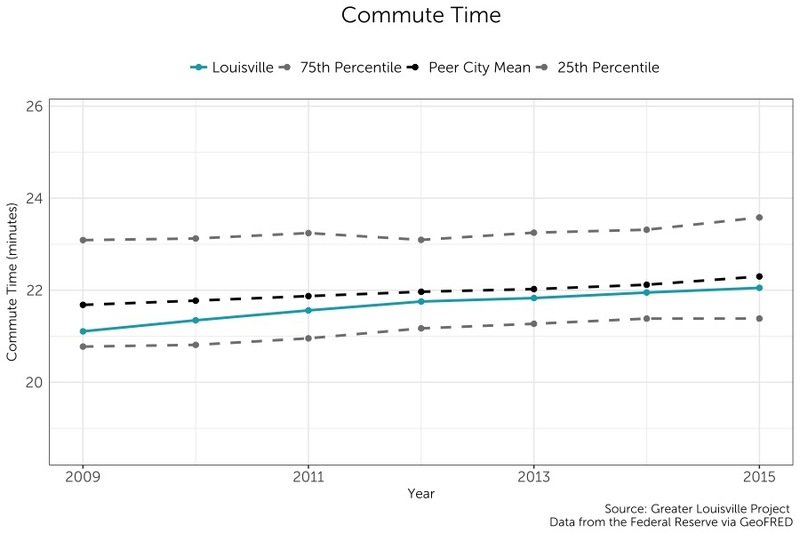 Louisville’s average driving commute time has increased relative to its peers since 2009 but still remains lower than its peer city average.